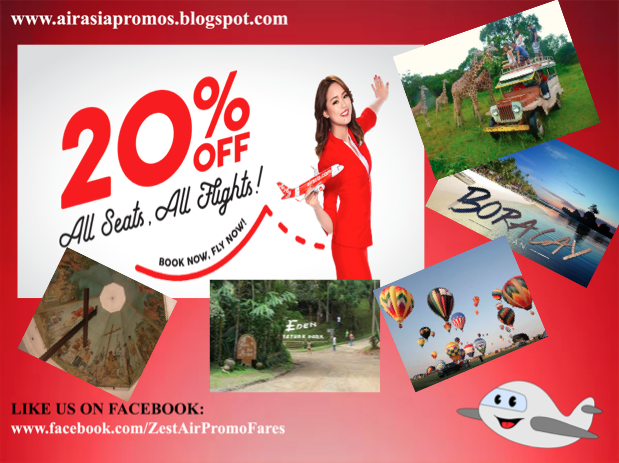 Air Asia Promos 2019 to 2020: 20% OFF on Plane Tickets! Air Asia Promo Fare: The award-winning low cost airline has something for you dear travelers! They are currently having an Air Asia PH promo of 20% off to select domestic and international flights. You may check below on what are the destinations including in the said promo below. The travel period will start from July 17, 2017 to November 23, 2017. This is pretty much exclusive for this year's trip. Do you have a travel plan in mind? Do you consider shopping abroad? Find out where as you read along. Booking period is until July 16, 2017. From Manila, you have a choice to check Davao or Boracay (via Caticlan). But if your goal is an international trip, flying go Kota Kinabalu for your honeymoon or marriage proposal will give you 20% on your plane ticket. Another option is to visit Taipei and perhaps, enjoy shopping and taking selfies at their picturesque infrastructures. 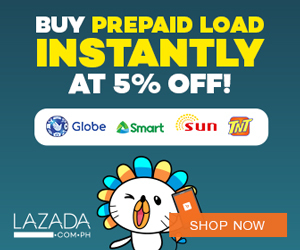 If you are a lad from Clark in Pampanga, you can take advantage of the direct flight going to Boracay (via Kalibo) and Davao (the president's official residence). Still you will enjoy a promo ticket of 20% too. Well, you know what to do in Boracay. In Davao, there's a lot of beautiful attractions and sports activities. There's the durian. They are home to quality cacao and local chocolates as well as a variety of cheeses! Those coming from the Visayas especially from Cebu may have a travel option to visit Singapore! Oh, btw, the Great Singapore Sale (GSS) is happening this month until August! Fly to the merlion city for a shopping spree! Almost all luxury and known brands will be on sale! It's definitely a shop 'til you drop moment! And of course, if you prefer Taipei, you will still enjoy the promo discount of 20% from your plane tickets. How does this sounds to all of you? And of course, continue checking the booking site here. There are still other destinations part of this promo. It's for you to discover.